For so long, for years, the author has a negative impression on the Profession of Insurance Agents. That, because the author often feel annoyed, annoyed, even angry to the Insurance Agent! Insurance Agent who like the picture above it is, the person! If the profession is done in a good and right way, it certainly will not make potential customers become annoyed, angry or pity, just the opposite, not the prospective customers and customers have gained knowledge about insurance and understanding of the amount of insurance benefits. That's why the Professional Insurance Agent will get the phrase: "THANKS STILL." - Have a mental and a positive attitude. - Master well insurance products. 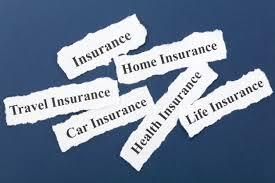 - Honest and open with advantages and disadvantages of its insurance products. - Understand properly the functions, duties and responsibilities and obligations. - The main purpose and objective of meeting prospective customers is for their sake and for their needs. - Present the benefits of the insurance completely. - Be diligent in prayer. - It can actually be useful and help people who need it. - It almost does not require capital. - Support system already exists. - The management is professional. - The opportunities are great and the business prospects are good. - Had a chance to meet more people. - Can be run in conjunction with other businesses that have previously been run. The points above that is the reason the author entered into the insurance business. One more thing that according to the author is very important to run this business that is, success can only be achieved by forming and building a solid team.